Scholars in ancient China studied the natural phenomena of the sky to determine their effects on human destiny. 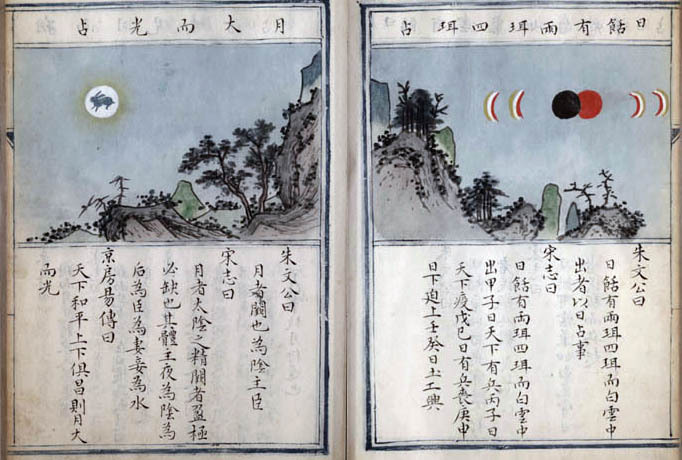 The illustration on the right depicts an eclipse, indicating bloodshed and fighting in the country and the future overthrow of the top official (emperor). 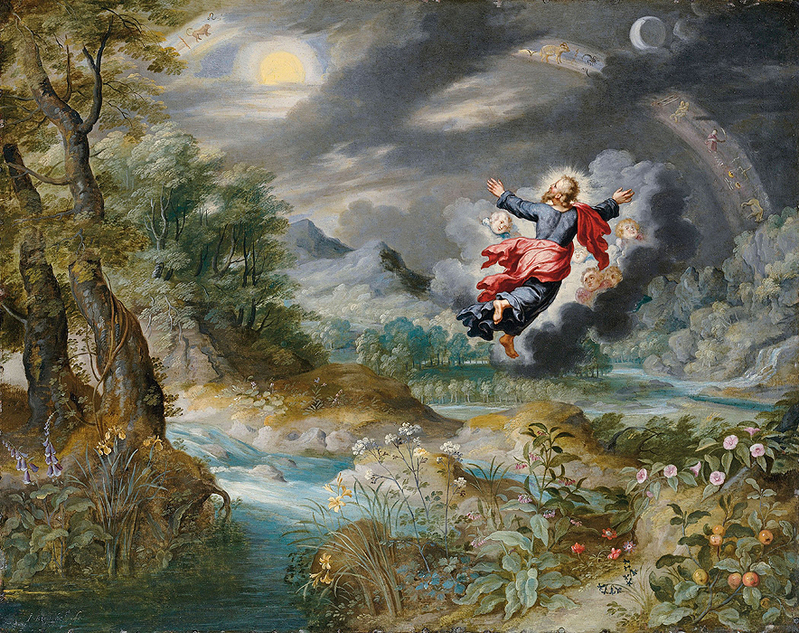 In contrast, the illustration on the left, showing a rabbit in the moon (rather than a man, as in European folklore), is a good omen. A bright moon indicates that prosperity is at hand. Mercury and the Moon are separated by an ornate Doric column. 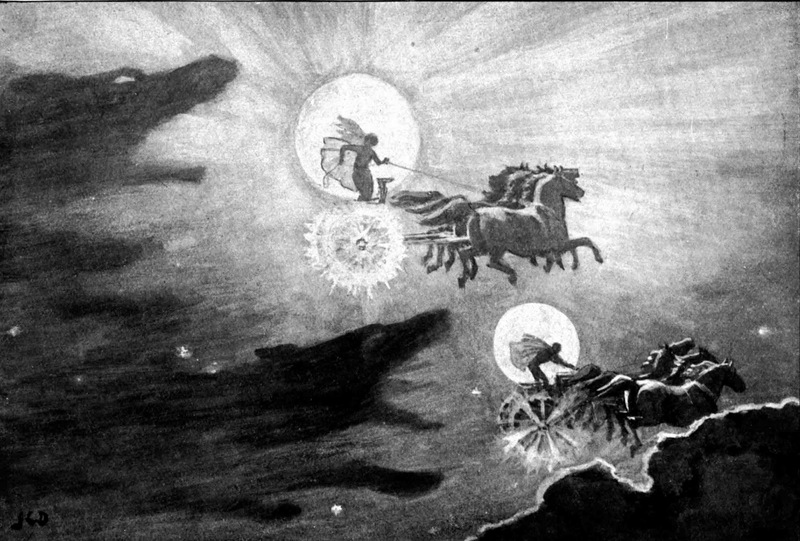 On the left is the inscription LUNA, beneath which the Moon is shown driving a chariot pulled by two dolphins along a bank of cloud. 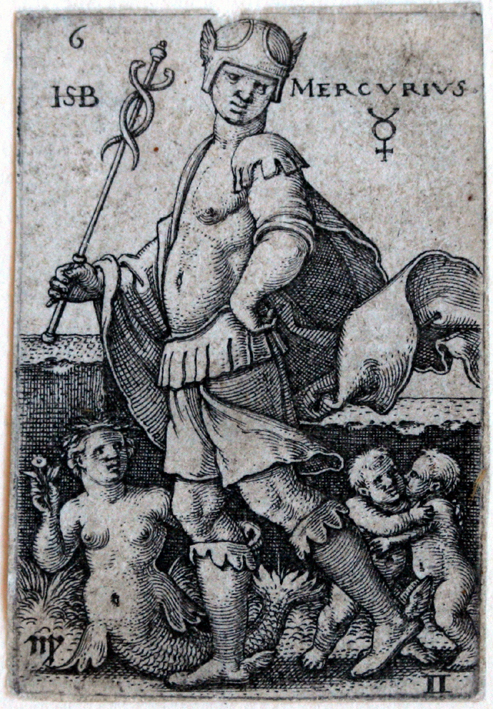 Likewise Mercury, on the right, drives a chariot pulled by cockerels, beneath the inscription MERCURIUS. 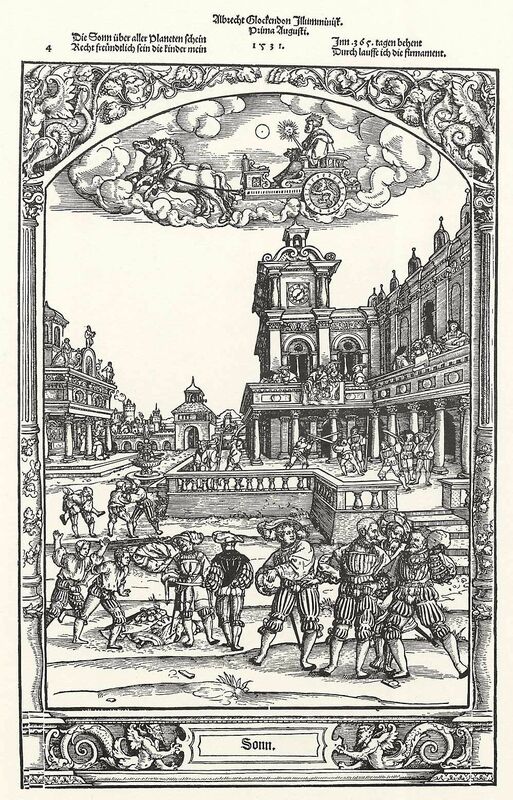 At the lower right corner of the fragment the astrologer and alchemist, whose job it was to turn base metals to gold, represent these celestial bodies’ influence on health and good fortune. 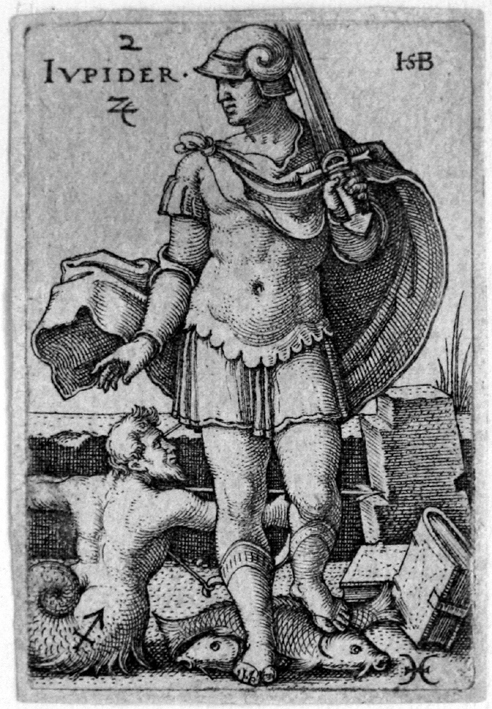 The fragment was painted by an unknown artist, presumably English, and is based on engravings of the Seven Planets by Virgil Solis. Wladyslaw T. Benda. The Earth with the Milky Way and Moon. Polish born Wladyslaw T. Benda (1873-1948) created eye-catching cover art and illustrations for short stories and essays in leading magazines during America’s golden age of illustration (1870-1930). 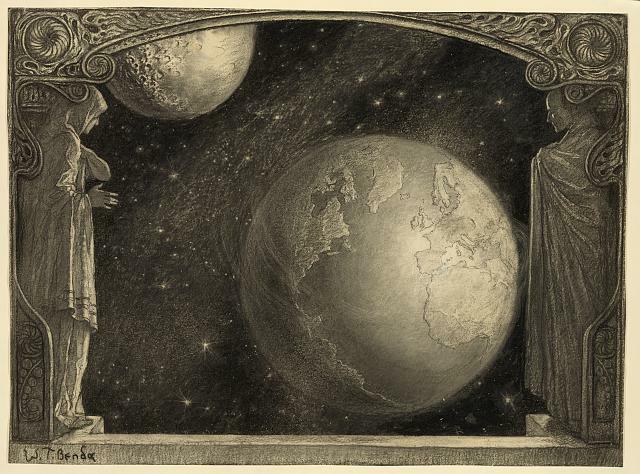 Benda depicts two timeless figures that frame and contemplate his imagined vista of the earth and moon suspended on the edge of the Milky Way. Light from the lower right throws land masses of North America, Europe, and Africa into bold relief, accentuates the earth’s majestic beauty, and illuminates a visn of earth within its galactic context. The 16th and early 17th centuries were the most fertile period of Turkish-Ottoman painting, with the reign of Murad III (1574-1595) being particularly prolific in beautiful works of art, such as this Matali’ al-saadet or Book of Felicity by Muhammad ibn Amir Hasan al-Su’udi. This Book of Felicity – which the sultan himself, whose portrait appears on folio 7v, ordered to be translated from the original Arabic – features descriptions of the twelve signs of the zodiac accompanied by splendid miniatures; a series of paintings showing how human circumstances are influenced by the planets; astrological and astronomical tables; and an enigmatic treatise on fortune telling. The last double-page illustration in the manuscript refers to a short treatise dealing with the mansions or stations of the Moon (manazil al-qamar). 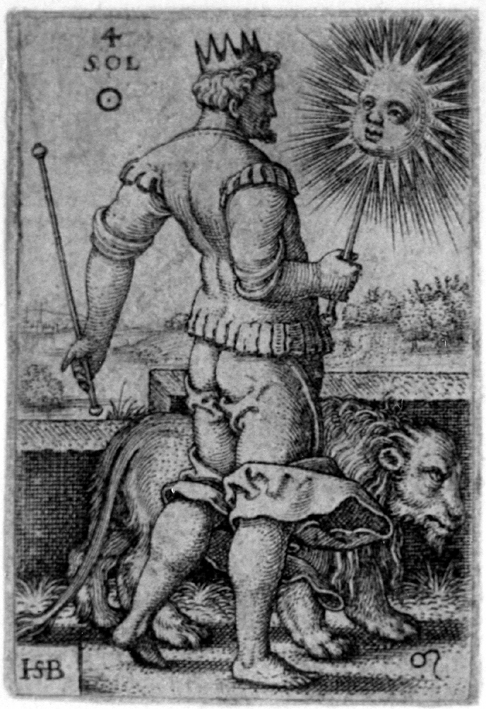 This is another astronomical subject that was taken up by astrologers and an iconography was developed at least as early as the 14th century to illustrate the text. The movement of the moon across the night sky and its different phases could be easily followed and standard reference points were provided by groups of stars marking its daily journey eastward. 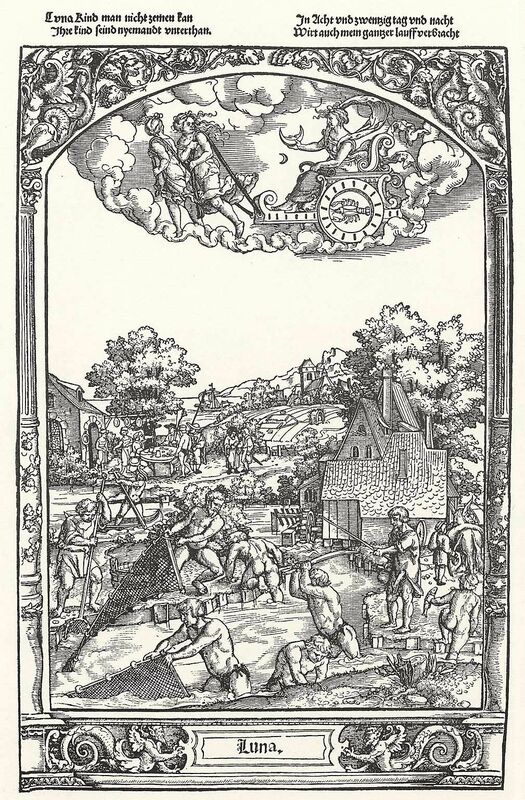 Medieval astronomers in the Islamic Near and Middle East relied on twenty-eight groups of stars for reference, which became known as Lunar mansions or resting-places of the Moon. 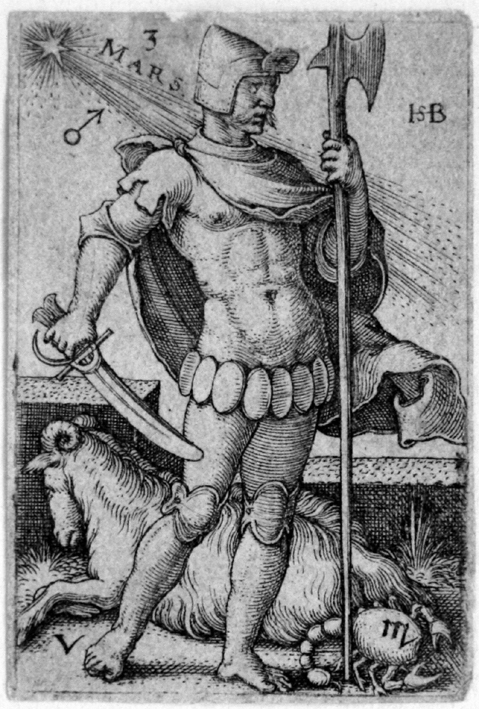 The shift to an astrological meaning for these mansions was natural and both text and images probably developed at an early stage. The two facing pages include the general title in gold ink repeated in the cartouche at the top of each folio. The text and illustrations are organized in four vertical rows with seven mansions on each giving a total of twenty-eight. A narrow vertical cartouche that includes the name of the mansion in red ink is sandwiched between seven lines of text inside a square to its right and the illustration to its left. The figures depicted in the vignette, all set within a gold, broken-arch frame are sometimes difficult to interpret because the name of the mansion is self-explanatory only in several instances, often being based on passages in the text or an earlier iconography that is unclear to us. 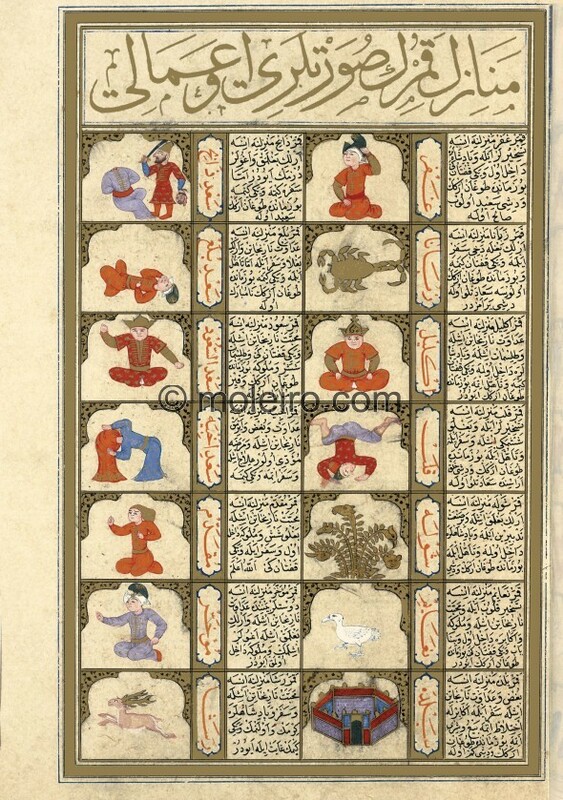 Without a doubt, the mansions of the moon are rarely depicted in Islamic astrological manuscripts therefore a consistent imagery may not have developed throughout the centuries. Without going into much detail about the iconography of the images of the twenty-eight mansions of the Moon, it is clear that the painter followed those in the Kitab al-bulhan closely, the first fourteen of which have survived (f. 27v). Ghafr (the Cover): a man sitting on his knees, his raised left arm holding a tall hat. 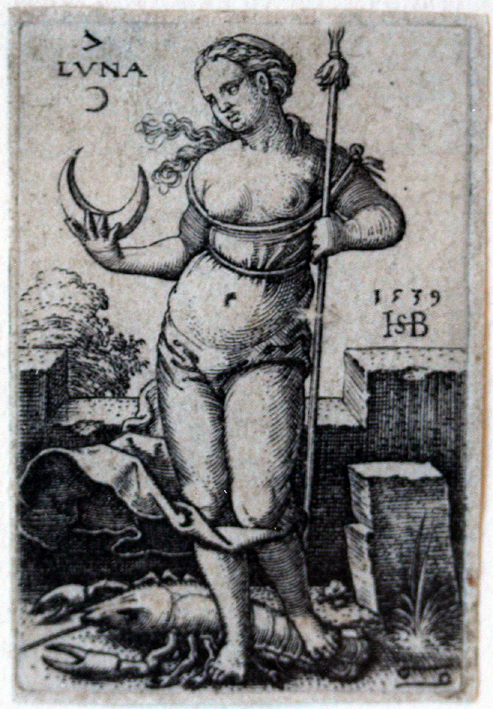 Dhibana (the Pincers of Scorpio): a scorpion. Iklil (the Crown of Scorpio): a seated man facing forwards wearing a crown. 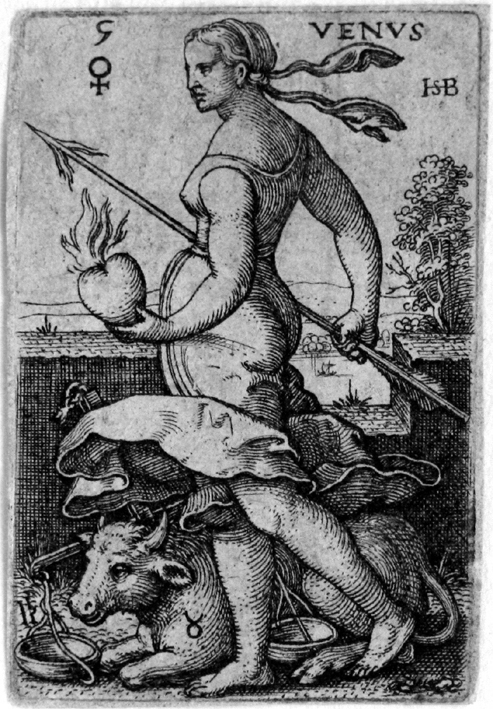 Qalb (the Heart of Scorpio): a man upside down, his legs spread out in mid-air. Shawla (the Sting of Scorpio): a leafy gold bush that flowers into small animal heads. Naca’im (sharad) (the Ostrich): a hen-like bird seen from the left in profile. Sacd (al-balda) (the Good Fortune of the city): the walls of a fortified city. 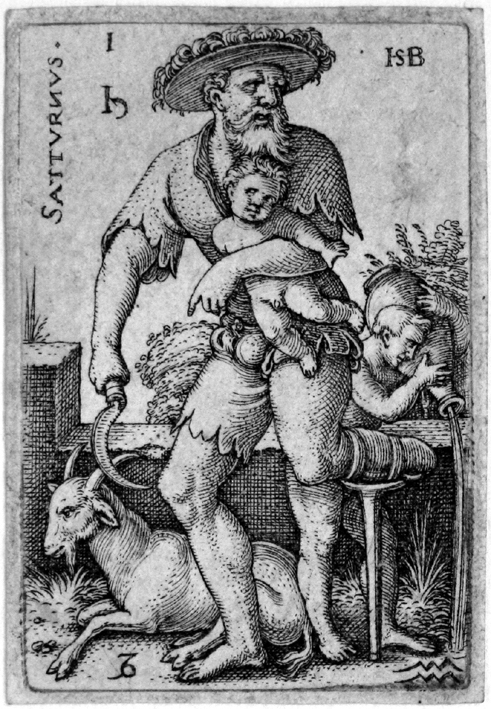 Sacd-i dhabic (the Good Fortune of the slaughterer): a man with a sword severing and holding the head of a figure in front of him. Sacd al-bulac (the Good Fortune of the swallower): a man lying on the floor with his legs crossed and one hand on his face as if in pain. Sacd al-sucud (the Best Good Fortune): a crowned man sitting cross-legged, one arm raised and the other extended downwards. Sacd-i akhbiya (the Good Fortune of the Tents): a man or woman bending down with their head entirely wrapped in a scarf or perhaps actually winding the turban. (Fargh-i) muqaddam (the Anterior [Orifice]): a man sitting on his knees seen from the left in profile, his right arm raised up and his left hand on his chest. He wears a long floppy hat. (Fargh-i) mu’akhkhar (the Posterior [Orifice]): a man sitting on his knees seen from the left in profile, his right arm stretched forward and his left on his hip. He wears a tall rigid hat. Risha’ (the Rope): a deer seen from the left in profile in a running position.